Interrogating questions at the start of a customer experience create the difficult perception of mistrust. Privakey eliminates the friction and frustration associated with passwords and security challenges. Our technology offers a better way for customers and other external users to assert their identities and authorize transactions. 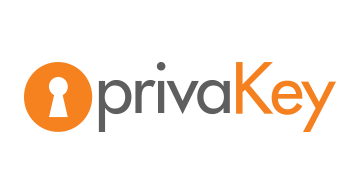 Privakey enables a simple, consistent, and secure way for customers to interact with financial services, across all channels, without ever having to use a password or answer a security question. Whether your customers are online, at a retail branch, on the phone, or on a mobile app, Privakey delivers the consistent seamless omnichannel experience that they desire. Example uses include: customer login, payments, customer service calls, fraud detection, ATM transactions, wire transfers, card activation, user registration, document signing and more. While improving CX, Privakey also enhances the security posture of the financial institution. Privakey delivers MFA-level security, without the hassle of passwords or password managers, SMS messages, out-of-band codes, scanning QR codes or juggling multiple devices. All a user needs is their device (phone, tablet, or computer), and a PIN or biometric as the second factor. The second factor is not stored, so it protects against phishing, keylogging, device cloning, ATO, and other common attack vectors.